What’s better than a video conference between a veterinarian and an advice-seeking pet owner? 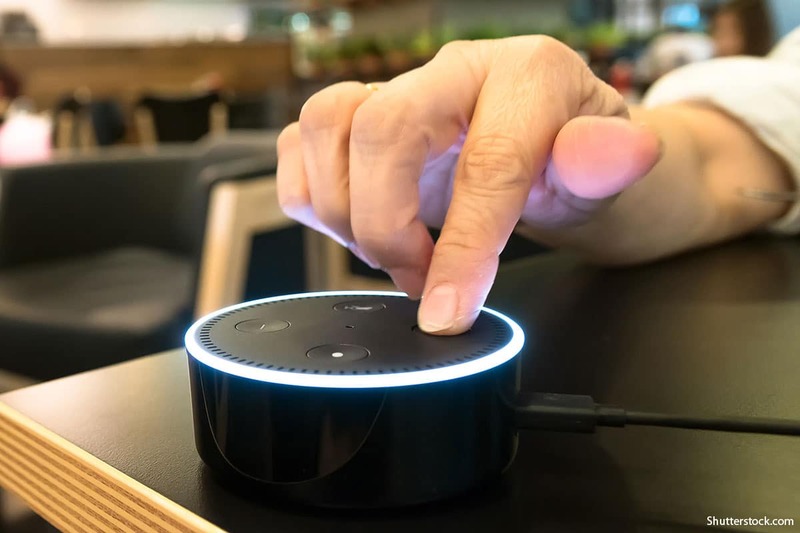 Cal Lai, co-founder and CEO of Vet24seven Inc., thinks it’s a simple conversation with Amazon’s Alexa. What Lai and business partner Edward L. Blach, DVM, MS, MBA, introduced in July during the American Veterinary Medical Association convention was MyPetDoc. The free voice app, compatible with Alexa devices and eventually with Google Assistant-enabled devices, is designed to help dog and cat owners decide what to do with their ailing pet. MyPetDoc communicates verbally with users through a series of decision trees, a technology based on a combination of human and artificial intelligence. The starting point was 35,000 engagements with the Mountain View, California, company’s Ask.Vet service. “We did some analysis and realized that we had what no one else had: recorded conversations between consumers and veterinarians,” Lai said. MyPetDoc converses with anyone who links the app, or skill, to a device such as Amazon’s Echo Plus. The app is smart enough to address five common conditions in a dog or cat: vomiting, diarrhea, urinary problems, itching and scratching, and eye issues. The company in the coming months expects to add eight other frequently-asked-about conditions and more animal species. Alexa: Thanks for contacting MyPetDoc. What’s going on with your pet? Pet owner: My puppy has diarrhea. Alexa: Uh-oh. Poor dog. Are you noticing any other symptoms, including things like changes in eating or drinking? Pet owner: No, just the diarrhea. Alexa: All right, let me get a few background details real quick. Is your dog a boy or a girl? Alexa: And what is your pup’s name? Alexa: What kind of dog is she? Alexa: And how old is she? Pet owner: Six months old. Alexa: Has Macy been spayed? Alexa: All right. Has she had her puppy shots? Pet owner: No, she hasn’t. Alexa: All right. It’s really important to do that soon to protect her from common diseases. And has she been dewormed? Alexa: That’s also very important to do. Worms are very common in young animals and can cause a variety of problems, plus they can be a health hazard to their humans. Back to the diarrhea. Is there blood in the diarrhea? Pet owner: Yes, there is some. Alexa: Diarrhea is very serious in young puppies since they can become dehydrated quickly. Vomiting and diarrhea can be caused by something they ate, an intestinal blockage or a viral infection like parvo. Since she hasn’t had all her vaccinations, it’s possible she has parvo. Would you like some information about parvo? Pet owner: Yes, that would be great. Alexa: Our recommendation is that you seek veterinary care immediately for Macy as this could be serious. If you have more questions that you’d like to get answered first, you can speak to one of our vets now. Do you want to talk to one? Alexa: All right, the doctor will be able to advise you and better determine next steps, but they can’t legally diagnose, prescribe meds or treat an animal if they’ve never seen them in person. The cost of the consult is $25. Do you want to continue? While MyPetDoc is free, Vet24seven makes money by connecting a pet owner with a consulting veterinarian. If MyPetDoc determines that the pet has an urgent health issue, the chat is cut short.